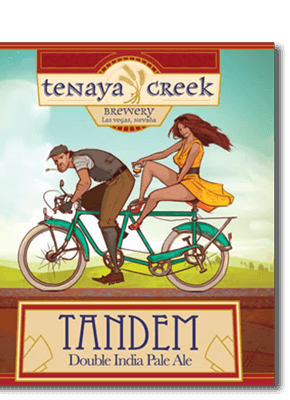 Tandem DIPA (Double India Pale Ale) Are you riding Tandem? Look down. Are your feet on the pedals? Yes? Is there someone else in front of you? No? Is there someone behind you? Yes? CONGRATULATIONS! You are riding tandem. Now put this ale to your lips and savor the citrus and grapefruit draw that the hops give it. Then love it.